In many ways, the conclusions reached in RT’s analysis are absolutely fair. Objectively, the Ukrainian army is simply a worse clone of Division SS “Galychyna”. Samostiyna [Note: Ukrainian for “independent”] Ukraine is unable to create anything better. Today, the punitive forces suffered yet another defeat – remnants of the 25th Aeromobile Brigade, Battalion Dnepr, as well as other rabble-like units that attached or strayed to them, were surrounded in the Shakhters-Torez-Snezhnoye area. The defeat of this grouping is the outcome of the ramming offensive tactics using mass numbers of tanks and other military hardware, followed first by sweeps and purges with the aid of sonderkommando and then by the establishment of checkpoints. With invariable consistency, again and again, such tactics has led to the same outcome – the punitive forces are drawn into a narrow corridor of an “intestine” that is wide-open to artillery fire. Once the main ramming force of the collected horde is exhausted, the Militia cuts the “intestine” down the flanks and surrounds and eliminates that Nazis gathered in the cauldron. It appeared, at first, that the goal of the current offensive in this area may have been achieved – the punitive forces were able even, for a short period of time, to cut off the last remaining road connecting DPR with LPR and Russia. With our own eyes we saw how the Nazis immediately began to exterminate civilians, murdering them in buses and cars travelling to the east. However, the colossal military hardware losses, which are practically inevitable with such a catastrophically unprepared offensive operation, predictably led to the same outcome. It is likely that it will take several days to finish off the remnants of the Ukrainian forces that ended up being enricled; however, overall, everything is pointing to Kiev’s latest gamble ending in failure. It should be mentioned that the situation for the Junta is becoming not only difficult, but threatening. Two waves of mobilization enabled the army to conscript up to seventy thousand men of military personnel. However, because these men and equipment were entered into battle in a very chaotic manner, without proper teamwork training, with extremely low quality of combat training, and with equipment in an appalling state of disrepair, as a result, the Junta just splashed gasoline on damp wood. The offensive burst into flames and just as quickly died down. The wood remains damp, and gasoline has run out. There is a stalemate – instead of building an army and preparing it for a decisive strike, Kiev is continuously forced to throw its newly created units at the front, plugging up holes and wasting time in senseless offensive operations. 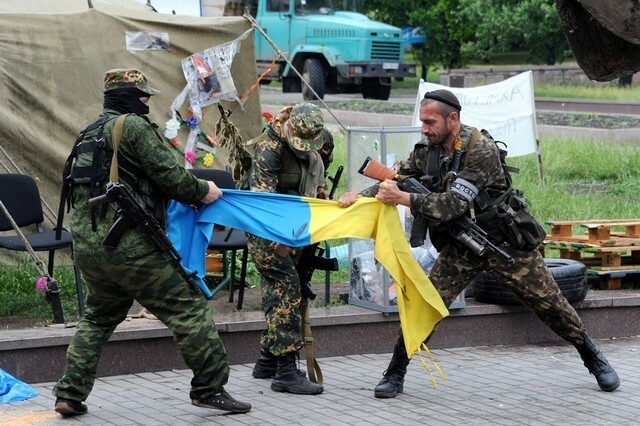 This process cannot be stopped – the Militia will seize the initiative and crush the remnants of the armies of Kiev. By throwing increasing number of ever-more inferior troops into the fire, Kiev only prolongs the agony, as it no longer has the ability to conduct a decisive offensive. The Militia is faced with a similar predicament – it cannot fully control such a large territory and is force to organize a focal defence, divert its forces to control roads and constantly to maneuver with extremely low reserves to repel attacks from various directions. This critical situation continues. It can no longer be said that the Ukrainian punitive forces possess an overwhelming superiority – according to Strelkov, the punitive forces mix up their battle formations in completely unimaginable ways, resulting in the loss of control and the complete absence of coordination. However, it cannot be said the Militia has been able to force the situation in its favour. And now for the sad part. 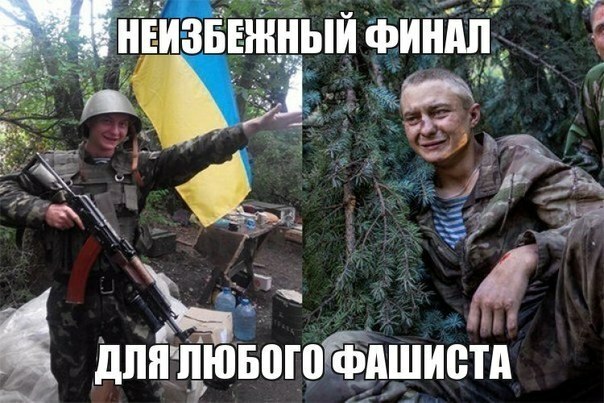 On August 1, the Militia and the Ukrainian army exchanged their dead and prisoners near Shakhtersk. A preliminary examination has revealed that four of the dead were finished off in a barbaric fashion – with a knife. The fifth was strangled. The exchange of prisoners was even more terrifying – two live militiamen were returned to the Militia with the heaviest of injuries, broken bones, and beaten to a pulp lungs and viscera. The medics have already pronounced that there is nothing they can do – people were practically beaten to death. The Commande-in-Chief gave an order – [officers] of the punitive 25th Brigade are not to be taken prisoner – and took the responsibility himself. Commanders conducting exchange negotiations with the Nazis were instructed immediately to report this to the commander of the 25th Brigade. In my opinion, this decision is absolutely justified. Crimes of this nature should receive an adequate response. Ukraine lost seven military transport aircraft in repeated attempts to deliver cargo with food and ammunition to the soldiers of the 72nd Mechanized and the 79th Aeromobile Brigades. This was announced by the Ukrainian Minister of Defence, Valeriy Geletei, during a live broadcast of the “Shuster Live” talk show. Amusingly, Geletei’s numbers exceed the information provided by militiamen, who claim that to have downed a total of four transport aircraft. And now for the latest news from the Southern Cauldron from a person who attended the surrender negotiations. The situation is such that the encircled group of Junta forces is now sitting in the area of Krasnopartisansk, having rolled away from the border. Their food rations ran out this morning, and they have a minimal amount of drinking water left. There is ammunition only for light arms, and even this will last for another couple of days of fighting at most. At the meeting, the Junta representative set out conditions requiring that they be permitted to destroy all the military hardware (altogether approximately seventy units; there is no fuel for 90% of the surviving vehicles, and there is virtually no ammunition) and granted safe passage to Ukraine after surrendering all the light arms and the remaining ammunition. Quite reasonably, the Militia representatives responded that the military hardware must be left intact, that all the light arms must be surrendered and that the passage should lie through the territory of the Russian Federation, with the soldiers being given the opportunity voluntarily to decide whether they desire to continue participating in what is happening or to remain in Russia. In the event of a refusal, the positions of the surrounded troops will continue to be leveled using MLRS and cannon artillery, especially since they have long been investigated and there has been no problem in covering them with artillery for over a week. According to the estimates of our source, the approximate term for the approximate deadline for the termination of the Southern Cauldron saga is 2-3 days (this is an optimistic prognosis; a realist one suggests 4-5 days), simply due to the running out of the remaining ammunition and the issues with drinking water. There have been no battles as such, the Militia simply continues to blockade the encircled forces without entering into close combat, preferring instead simply to shell the surrounded troops with cannon and rocket artillery. In view of the large losses of the enemy’s military transport aviation, the delivery of supplies has been practically reduced to zero, and the aircraft that manage to break through the Militia’s air defences are forced to drop their cargo from a significant height, as a result of which part of such cargo falls on the territory controlled by the Milita. However, even if 100% of the cargo were reaching the Southern Cauldron, it still would not have been enough. The Militia should, of course, speed up the process, as the freed-up forces and the potential trophies will enable it to stabilize the front and to commence preparations for a counteroffensive.